Roofing: When Should You Repair or Replace? Home / Roofing / Roofing: When Should You Repair or Replace? At some point, you will have to decide between making repairs and having your roof replaced, and making the right decision can help you save your money. 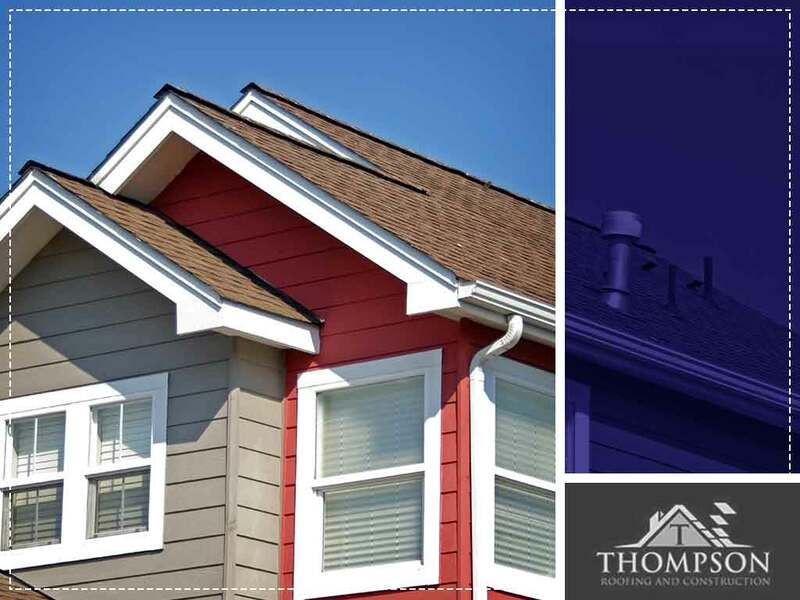 Your local roofing and siding expert, Thompson Roofing and Construction, gives you an overview of how to choose between repairs and replacement. The first thing you should do is conduct a roofing inspection, which you can do without special equipment. On a clear day, take out a good pair of binoculars, and inspect the roof for signs of damage or age. Keep an eye out for conditions like curling, cupping and cracks. Pay attention to valleys, roof edges and the parts where the roof meets a wall or a dormer. These areas should have flashing, so take note of dislodged or missing flashings as they will need to be replaced. Protrusions like vent pipes should have rubber boots in place. Check if the rubber boots are cracked, damaged or missing. You should also look at other areas, including the gutters and eaves, again paying attention to signs of damage and aging. Next, check your attic for water stains and clumped insulation as both are signs of water intrusion. The attic temperature should be more or less the same as the outside temperatures. If the attic is noticeably hotter and humid, it may be getting insufficient ventilation. Thompson Roofing and Construction can do a thorough inspection to find out. Once you have a clearer picture of your roof’s condition, you need to decide whether you should repair or replace it. The first indicator is the roof’s age. Widespread signs of aging, such as curling or cupping shingles, indicate that your roof isn’t getting as much protection as it should, or it has simply reached the end of its lifespan. It will require a replacement. Your home is a lot more vulnerable to the weather if you don’t do anything about the problem. For issues concentrated on a specific spot, as is often the case with impact from hailstones or debris, call for repairs. The idea is to keep the roof in its best shape in preparation for storms or for the winter season. Leaving it as it is can lead to further damage – the kind that requires costlier repairs or a partial or full replacement. To learn more about keeping your roof in shape or if you would like to know more about our other services, including new construction, call Thompson Roofing and Construction today at (256) 251-5566. You can also fill out our contact form to schedule a free consultation and estimate. We serve Huntsville, AL, and surrounding areas.